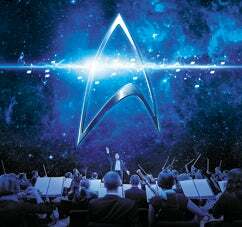 In order to protect the safety of our patrons, employees and touring personnel, Star Trek: The Ultimate Voyage, originally scheduled for tomorrow, January 24 at 6:30 p.m. has been cancelled due to the Black Ice Winter Weather Advisory currently in effect for Cumberland County until noon tomorrow. The conditions cited within the advisory will unfortunately make the roads unsafe for passage, prohibiting the tour from safely traveling to the area. All tickets purchased via credit card will be automatically refunded. All patrons that purchased with cash can receive a full refund at the point of purchase. If you purchased tickets at the Crown Complex, you must receive your refund from the Complex Box Office.